The program is the only one of its kind, providing at least three designated days each month when deployed service members making phone calls from their Morale, Welfare & Recreation (MWR) center or military DSN line to the U.S., and other home base location land lines, are greeted by a recording which states the call will be free, courtesy of Operation Uplink. VFW and Ladies Auxiliary members, as well as other caring citizens, generously support the program. Since its start in 2006, Free Call Days have provided more than 7 million free connections for service members and their families. 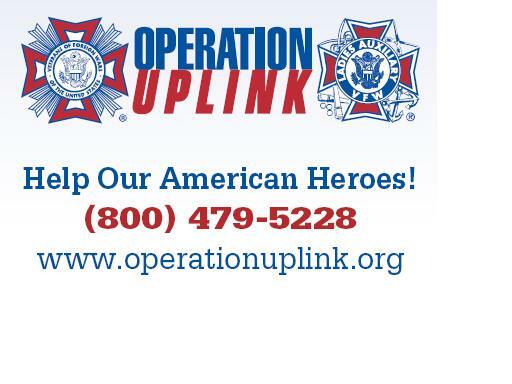 The VFW is proud of Operation Uplink because it provides an easy way for individuals and organizations to make an immediate difference in the lives of active-duty military personnel.